Medicare Plans - You may know that when you turn 65 you qualify for Medicare. Most people become eligible for Medicare when they turn 65 years old. Medicare Advantage (Part C), Medicare Prescription Drug Plans (Part D), Medicare Supplemental Insurance. Questions about Medicare, Watch Videos to get free educational guides. Travel Insurance - Traveling? Travelers seeking to protect their trip investment against trip cancellation, trip interruption, baggage and travel delay. Going abroad? Don't forget International Medical Travel Insurance Plans. International travelers looking for temporary medical insurance coverage while traveling outside of their home country. 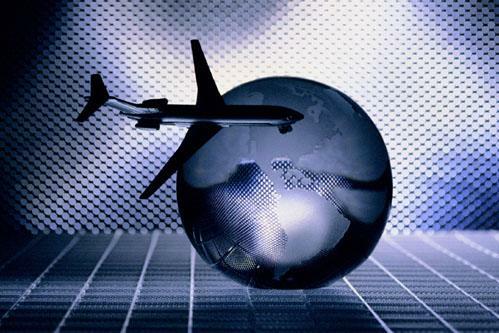 Get a FREE Travel Insurance Quote Online Worldwide with Global Coverage. Discount Dental Plans - An Affordable Alternative to Dental Insurance. Save on most dental procedures, including checkup, cleanings, braces & cosmetic dentistry on select plans. Get a FREE Discount Dental Plan Quote Online Available Nationwide. 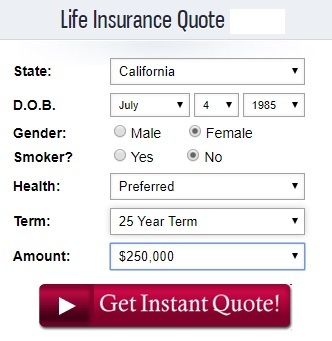 Life Insurance or Accidental Death & Dismemberment Insurance - Life Insurance or Accidental Death Insurance is a simple answer to a very difficult question: How will my family manage financially WHEN I DIE? It’s a subject no one really wants to think about. But if someone depends on you financially, it’s one you CAN NOT AVOID. Ask us about, Life Insurance That Offers Living Benefits. Real Estate Property - Selling your house? Buying a Home? Short Sale your condo town home in San Diego California? Work with me Andy Lopez California San Diego Realtor California San Diego Real Estate Agent. A good real estate agent is a valuable asset as you buy or sell or short sale a home. Real Estate Agent can show you more suitable properties, offer valuable advice, and coach you through the entire home buying or home selling or short sale process. San Diego Real Estate Analysis & Market Stats. Income Tax Preparation Services - Need assistance with your income tax? We've got you and your small business goals and objectives in mind. You and all your tax planning needs are in expert hands. Leave it to us. Our tax preparation and accounting company is here to help you and your small business. Alpine, Aviara, Boulevard, Bonsall, Bonita, Borrego Springs, Bay Park, Carmel Valley, Cardiff By the Sea, Speak Filipino Mira Mesa Tax Preparer, City Heights, Clairemont, Campo, Carmel Mountain Ranch, College Grove, Coronado Cays, Coronado Shores, Coronado Village, Crown Point, Camp Pendleton, Carlsbad, Speak Filipino Mira Mesa Insurance Agent, Chula Vista, Del Cerro, Descanso, Del Mar, Dulzura, Downtown San Diego, El Cajon, Escondido, Elfin Forest, Encinitas, Encanto, East San Diego, Fallbrook, Guatay, Speak Filipino Mira Mesa Travel Insurance Agent, Hillcrest, Imperial Beach, Jacumba, Jamul, Julian, Kensington, Kearny Mesa, La Costa, La Jolla, Lakeside, Lemon Grove, Leucadia, Logan Heights, Speak Filipino Mira Mesa Tax Preparation Specialists, Lake San Marcos, La Mesa, Linda Vista, Mission Beach, Middletown San Diego, Mission Hills, Speak Filipino Mira Mesa Real Estate Agent, Miramar, Mount Helix, Mission Valley, Mission Village, Murrieta, National City, Normal Heights, North Park, Ocean Beach, Oceanside, Old Town, Pala, Pauma Valley, Speak Filipino Mira Mesa Realtor, Pacific Beach, Paradise Hills, Point Loma, Palomar Mountain, Pine Valley, Poway, Potrero, Ramona, Ranchita, Rancho Bernardo, Speak Filipino Mira Mesa Dental Plans Agent, Rancho Penasquitos, Rancho San Diego, Rancho Santa Fe, Santa Luz, Solana Beach, Sabre Springs, San Carlos, San Clemente, Speak Filipino Mira Mesa Enrolled Agent, San Diego, Serra Mesa, San Luis Rey, San Marcos, San Ysidro, Scripps Ranch, Santee, Spring Valley, Santa Ysabel, Talmadge, Tecate, Temecula, Torrey Highlands, Speak Filipino Mira Mesa Medicare Plans Sales Agent, TierraSanta, University City, University Heights, Valley Center, Vista, Warner Springs, Filipinos Tawag Na, Pilipino, Tagalog, Ilocano, Ibanag.